"Learning is King. Growth is Queen. Cool is the court jester. The jester is technology and he has value, but don't put him in charge of the kingdom!" We need to use the "cool" to engage our students. We need to re-spark their curiosity. Technology can certainly help us take our curriculum and deliver it in a way that allows our students to explore the world around them from within our classrooms and even beyond. However, we need to find balance. Tech for the sake of Tech is NOT what we want from this initiative. We want to stick within our district's mantra of "Doing the right thing, at the right time, for the right reason"
Canvas, for example, is a Learning Management System that allows us to have a central hub (aka digital classroom) for our classes just like the actual room where we meet every day for 45 minutes. This virtual space helps us stay connected beyond that small sliver of time we are allotted (roughly 141 hours a year). Other tools like Google Apps for Education and Nearpod allow us to work together in real time regardless of location. Making sure that we are all on the same digital and literal page. This sense of collaboration can really augment our time together and teaches important interpersonal skills, which can really help us maximize our face to face time, which will always be so important. Now all of those programs and apps would be meaningless without the Chromebooks, which allow us to have equity. This allows all our students and staff to have the ability to participate in the same activities that help engage and shape our learning environments. Now that we have these devices its time to see their full potential. Going into next year we will need to start thinking beyond the digitizing of worksheets and step outside our comfort zones to learn how to really engage our students. The incorporation of project based learning would be a nice addition to our classes so that we can best model the type of problem solving our students will be doing after their leave our doors. "The teacher is not in the school to impose certain ideas or to form certain habits in the child, but is there as a member of the community to select the influences which shall affect the child and to assist him in properly responding to these influences." The technology we now all have access to allows us, if we choose, to really help 'select the influences'. 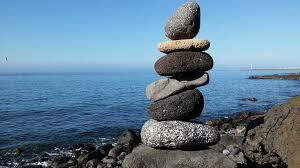 It helps us bring balance to all the media students are inundated with in today's digital world. We can never undo their involvement with social media or with gaming and that is not our role as teachers, but we can select the appropriate ways social media can augment learning. We can gamify our classes to bring that same spark of enthusiasm to our lessons. We can take notes from those who actively engage our students and find ways to incorporate that magic into our classes. We can help manage their exposure and not just for 45 minutes, but by curating an online presence we can truly take back the digital streets and deliver positive and engaging alternatives. Too many times our students (and us too!) choose to go to a place that is described by blogger Tim Urban as the 'Dark Playground'. A place where we engage in unearned free time. It is so easy to get lost in binge watching Netflix or joining another campaign on Fortnite, but if we engage our students in multimedia projects that truly pique their curiosity then perhaps we can help them utilize their precious free time so that they can effectively earn their leisure time to just veg out. 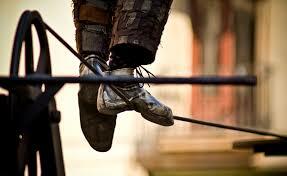 It is on that tightrope that we all must walk. Technology will ultimately help them prepare for how the world works and will continue to work. We (as students, teachers...humans) need balance, not just with technology, but in life! “Be moderate in order to taste the joys of life in abundance." Jonathan Yoder this is filled with all sorts of wisdom. Sharing now! I'm flattered, but I just try to think about something that keeps coming up in dialogues each week in my day to day work. Then based on the conversations I have with a few different teachers on any given topic, mixed with my own experience, I just sit down and start writing on the weekends! It's more cathartic for me as a reflective out loud journal. And if one person reads it and as a result sparks a dialogue in another school, then that is what this is all about! Speaking of which I spoke with a teacher today who is eager, but timid and she printed out your checklist to help her brainstorm and plan over conferences next week before our mini Fall break. So thanks for all you post as well! Bobby Pedersen I was thinking we should do an LIVE event or maybe even a podcast together. I think that would be so cool and a lot of fun! I know the time difference would be crazy, but we could make it work! I'm with you on the thinking 'out loud via blog writing' front Jonathan Yoder. And let's make your idea become a reality! Flip the planet! Love the jester quote. That is cool!